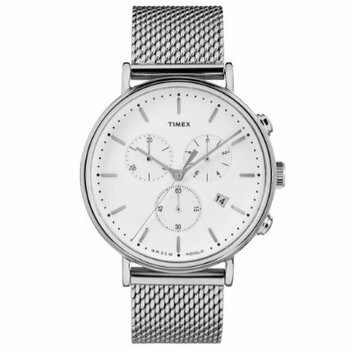 Win a Timex Fairfield Chronograph watch | FreebieFinder UK | Freebies, Samples, & Other Free Stuff. Fashion heritage watch brand Timex is now available in your local House of Fraser, Glasgow. In celebration Ion Magazine are offering their readers a chance to win a Timex Fairfield Chronograph watch. A multifunction Chronograph watch with minimalistic Bauhaus influences, featuring a silver-tone stainless steel mesh band and white dial. Fill out the entry form on the Ion Magazine website to stand the chance to win.